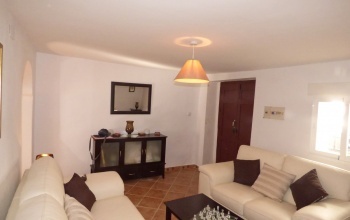 Beautiful 2 bedroom apartment for your perfect holiday in Mijas Golf. Private urbanization with swimming pool and gardens. Underground parking space available. The apartment is fully equipped and free wifi is offered as well.Next by are supermarket, restaurants and bars, and there is no public transport close by so a car is essential. Opportunity! Priced to sale!This private villa in an urbanization in Casabermeja is a great opportunity to purchase a house at unbeatable price, in the peaceful outskirts of Casabermeja. On the ground floor of 121m2 - there is a large living room with fire place, independent large fully installed kitchen, 3 bedrooms and a bathroom. 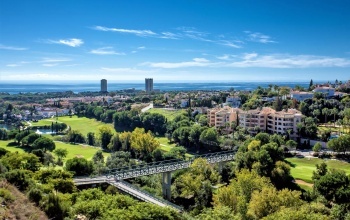 Modern, bright and spacious duplex penthouse with breath taking views over the Mediterranean and the golf course! Holiday let of 2 bedrooms, 2 bathrooms one of which en suite.Fully equipped and furnished, prices start from 550 at low season, 750 mid season and 990 July and AugustPlease call 0034 647229900 or email info@liveinthedreamspain. 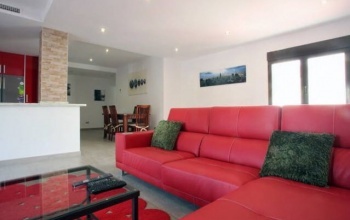 Beautiful and bright two bedroom apartment, two bathrooms (one en suite). 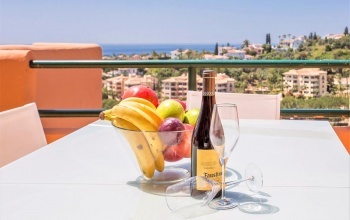 Tastefully furnished and fully equipped, this apartment is located in a private urbanization in Elviria with few swimming pools and tropical gardens. 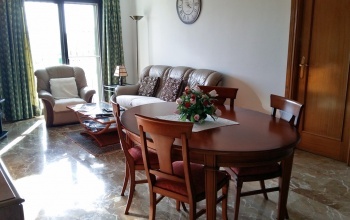 Spacious and bright 3 bedroom, two bathroom apartment in Pinogolf Elviria. 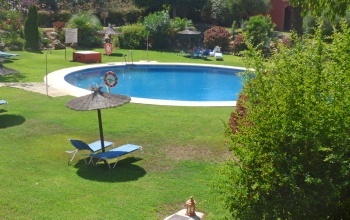 Fully equipped apartment with good size terrace looking over the communal swimming pool and gardens. The private urbanization is located next to everything, all the shops, bars and restaurants, and its only 5 mins walk to the beach. 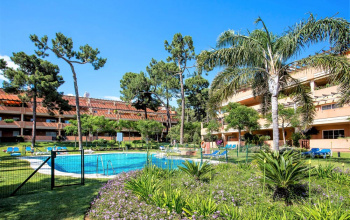 Large swimming pool and beautifully maintained tropical gardens and underground parking. 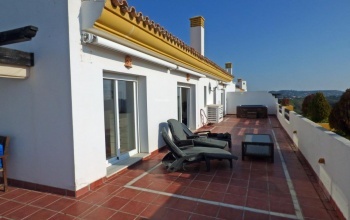 Great investment property available for sale now in the popular elevated area of Alhaurin el Grande! 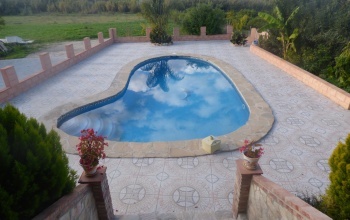 Greatly maintained, two quality houses on one large plot , each with its own entrance, [parking space and swimming pool. The kitchen is modern, high quality and fully-fitted with a large granite island. Beautiful newly furnished duplex, penthouse with fantastic terraces and fabulous views SW to Africa and Gibraltar. Just a few minutes drive to all the local, markets, restaurants and bars. The beach is just a 5 minute drive, and you will find some of Marbella's best sands. Within the community there are 4 pools, the largest has a life guard on duty during the summer. Luxury villas and apartments that boast their own unique character and style: architecture, distribution, finishes, landscape… Just perfect till the last detail!Boladilla Suites Resort and Boladilla Village Resort - unique area with magnificent nature and marvelous Mediterranean views – undoubtedly the best place to live. 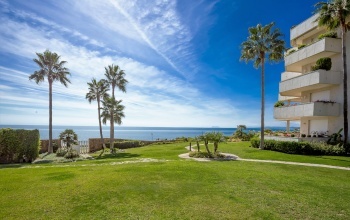 This fantastic apartment is located in a famous beach urbanization in Elviria, close to absolutely everything. The sandy beaches of Elviria are a trow away, the bar and the restaurant is by the swimming pool at the urbanization, all other bars and restaurants are 2 mins walk.The apartment is currently being converted to 3 bedrooms and open plan kitchen. Sleeps 6. SOLDRenovated and charming townhouse for sale in the center of Cartama.This lovely townhouse is full of character and has completely renovated kitchen, bedrooms, bathrooms and living room. The house is over two floors, and there are two large ans sunny terraces one on each floor. 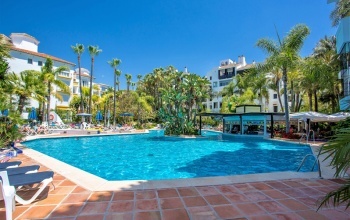 Fantastic opportunity to invest in this great apartment right in the center of Puerto Banus, next to everything!! !One thing comes to mind - Location!!! Location!!!Location!! !Totally renovated, with modern kitchen and bathroom, this apartment is the best priced property in Puerto Banus. 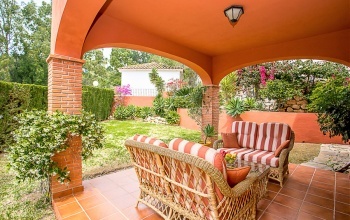 Grand rental income or prefect holiday home in the middle of Famous Puerto Banus. Set in the hills of El Rosario on the Costa Del Sol in southern Spain Villa Dona Susan is an ideal holiday retreat offering peace and quiet. 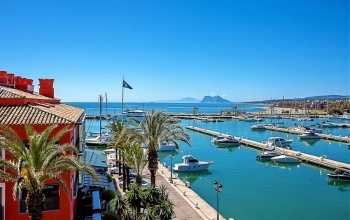 This comfortable family friendly assisted living property is suitable for families with children, friends and carers.Boasting sensational views of the African coastline all the way to Gibraltar Villa Dona Susan is a spacious relaxing holiday home. This is a very spacious, beautifully decorated apartment. There is a lot of space in the living areas for you and your family or friends to relax. 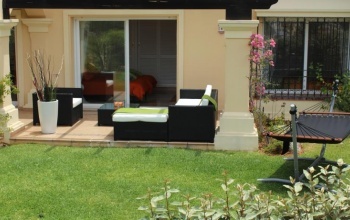 The terrace is large and offers, a well maintained jacuzzi, lounge furniture and a dining area. The kitchen is fully equipped and includes an oven/stove, fridge/freezer, dishwasher, washing machine, microwave, coffee maker and kettle. 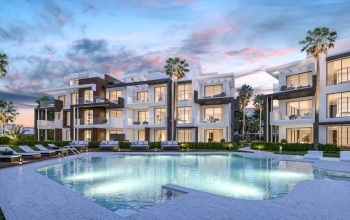 Exclusive Complex of 39 Southerly facing, luxury properties by the beach of Mijas Costa, available for sale now off plan prices from 419. This unique property has been priced to sale! 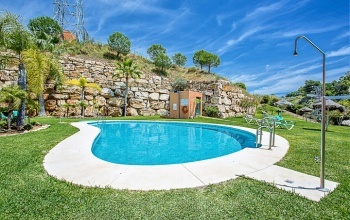 The villa is located in the popular and peaceful urbanization La Mairena, with gorgeous ocean and mountain views, and nice distribution and features. Location!Location! Location!30 seconds walk to all the bars, restaurants, shops and amenities, this apartment is ideal for family or holiday home. The beach is 5 mins walk. Three double bedrooms, two bathrooms one of which en suite. Separate kitchen, good size living room with dining area, and large terrace. Must be seen to be appreciated!For viewings call 647 229900. This fantastic Villa on a great plot of land has limitless opportunity. The property is set at the entrance of a famous gated urbanization, yet it has the feel of a private estate. Large driveway takes you to the immaculate gardens and to the entrance of the house. 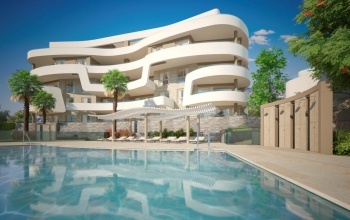 New apartments, two bedroom, two bathroom in Reserva de Marbella with up to 108% finance available. Brand new fully fitted kitchen, large living room with dining area, two bedrooms, one of which en suite, and nice large terrace with beautiful views over the mountains and the communal swimming pool and gardens.Storage and underground parking included are included in the price. This apartment is the cheapest available on the market. 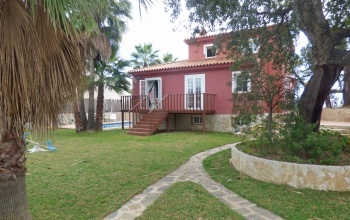 Located in famous urbanization Los Lagos de Santa Maria Golf, with partial sea views. Beautiful and cozy, fully furnished and equipped, ready to move in or to let with a great holiday income potential. Perfectly located only few minutes drive from all the amenities and the sandy beaches of Elvira. This modern and private villa is on two floors, and is ideally located only 7-8 minutes walking distance to all amenities in a quiet location. Surrounded by perfectly maintained private landscaped gardens with its own private heated pool, orientation to the South. The villa has high quality furniture and fittings and it is fully equipped. 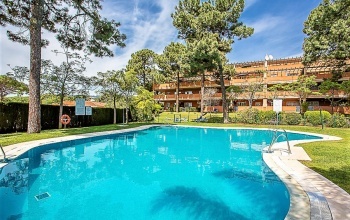 This spacious and bright 3 bedroom apartment is idealy located, close to the beautiful sandy beaches of Elviria, next to Santa Maria golf course, and only 10 mins walk to all amenities. Very spacious living room with dining area, 3 bedrooms, one of which en suite, and amazing terrace for dining al fresco or just relaxing after a day on the beach. This modern and private villa is on two floors, and is ideally located only 7-8 minutes walking distance to all amenities. Surrounded by tropical gardens and palm trees, with its own private pool and sauna. 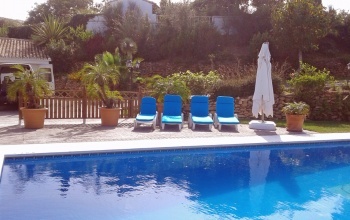 The villa has high quality furniture and fittings and it is fully equipped. The balcony from the living rooms looks over the private swimming pool and the tropical garden. Spacious, contemporary, semi detached villa in peaceful location, with fantastic uninterrupted views of the green valley near, only 5 minutes away from all amenities and famous bars and restaurants of the Calahonda strip and 20 minutes to the bustling night life of the world famous Puerto Banus! Beautifully maintained private garden. Very spacious and beautifully decorated penthouse offers a 5 star luxury accommodation with 2 bedrooms, 2 bathrooms, and a large 50sqm lounge that leads onto a very lagre and very sunny south orientated terrace. The private urbanization is located next to everything, all the shops, bars and restaurants, and its only 5 mins walk to the beach. This is a beautiful country home on a large fenced plot of land with many fruit trees, vegetable garden, and well maintained tropical gardens. 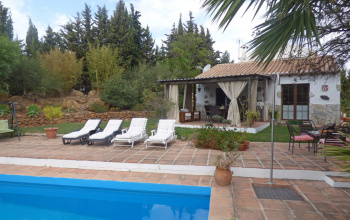 The main house on the finca has 3 bedrooms with build in wardrobes, two bathrooms one of which en-suite, good size living room with fire place and separate kitchen. All the rooms are with much light and they all connect from the living area. 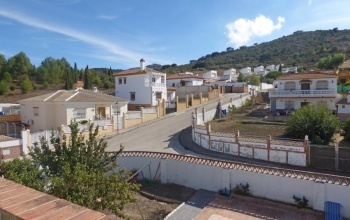 Estate on a 9000m2 for sale in Alhaurin el Grande! This property is so large and so private, ideal for country side loving owners and horses. There are two houses on the finca. The first main house has a nice and sunny patio before the entrance, very large living room with fire place and opened plan kitchen. Left from the living room, there are 3 bedrooms, one of which ensuite. This charming property has such a potential! Flat land of 1200m2 with fruit trees and ideal for vegetable gardens. The house is in need of renovation and it consists of entrance hall which has been used as a living room, on the left there is a bedroom of good size than a large bathroom, on the right from the hall there is a large separate kitchen. This luxury apartment has just been furnished in March and ready to rent for 2017. Luxury accommodation of 2 bedroom and 2 bathroom offers spacious living areas and two wonderful balconies, making the most of the morning and afternoon sun. 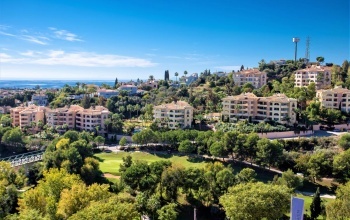 The apartment is located by the Santa Maria golf club in the popular area of Elviria. Few minutes drive from the shops , bars and the best beaches of Marbella. This recently refurbished cottage has kept all of its charm and original features. The rooms are surprisingly spacious and airy. The living room ys tastefully decorated with high quality sofas, side board and a coffee table. The dinning area and the kitchen are just off the living room and from the kitchen there is an access to sunny terrace with BBQ and views of the surrounding mountains. Nice middle floor two bedroom, two bathroom south east orientated. The apartment is overlooking the communal swimming pool within a small and well maintained community within a gated complex. The property has an entrance hall on the left is a fully fitted kitchen with utility room off, on the right is the second bedroom and further the second bathroom. This is gorgeous renovated villa with two separate dwellings on a large finca, located only 1 min from Alhaurin el Grande in very quiet area with breathtaking views. At teh entrance of the gates og the property, there is large asphalted drive in. There is garage for two cars. There are two separate houses joined by grand, half covered patio in the middle. Beautiful holidays one minute walking distance to the beach and 5 minutes walking to all the services and shops. Ground floor apartment, with large sunny terrace and direct access to the communal gardens and pool. Prices start from 120 euros per nights at low season an minimum of 3 nights stay is required. 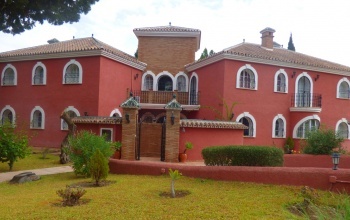 Outstanding 3 bedroom, 2 bathroom ground floor apartment for holiday lets in exclusive complex near Cabopino port. Sea views terrace with glass curtains, private garden leading to beautiful communal gardens, 2 pools, children's pool & direct access to the beach. Clubhouse + cafeteria withgymnasium, sauna, Jacuzzi, indoor heated pool. Tennis & paddle courts. This specious apartment was originally with 3 bedrooms, and previous owners has modified it, opening a very nice and unique living room with dining area. The 110m2 are build with high quality materials, marble floors in the whole property, glass curtains on the terrace, marble tops in the modified kitchen and quality finishing all over. Both bedrooms are en suite. This garden floor apartment has two bedrooms and two bathrooms, one of which en-suite, large living room with dining area and separate large kitchen. Sunny terrace with private garden all day long with direct access to the communal pool and tropical gardens. For availability call +34 647229900, calls form UK 03333 44 1974 or emial to info@liveinthedreamspain. Great First floor 3 bedroom apartment in the famous Riviera del Sol, only 400 meters to the beach and next to all amenities. The apartment has a large living room with dining area and chimney, the kitchen is independent and fully equipped, one of the 2 bathrooms is en-suite. Very well preserved and maintained property in ideal location. Exterior covered parking included in the price. For sale now reduced to 230.000euros - 2 bedroom apartment in private urbanization one minute walk to the beautiful beach of Elviria. The apartment is on the ground floor with large sunny terrace with direct access to the communal gardens. Two bedrooms and one bathroom. Separate kitchen and good size living room with dinning area. Communal swimming pool.